Spyker has announced it is developing a GT racer based on its new C8 Aileron supercar. The Spyker Squadron car will be prepared to the Automobile Club de l'Ouest's new GTE specifications and take to the track in 2012. The car will be available as a fully factory-backed customer race car, with the aim being to increase the commercial potential of Spyker Squadron. According to Spyker, they're already in talks with a number of possible customers. Future plans for the C8 Aileron GT, which replaces the C8 Laviolette GT2R, include possible development for FIA GT3, based on demand for the car and its success. Spyker, you may recall, announced last week that it plans to sell its carmaking operations off to coachbuilder CPP Global Holdings Ltd. as the move will allow it to concentrate on rebuilding Saab. 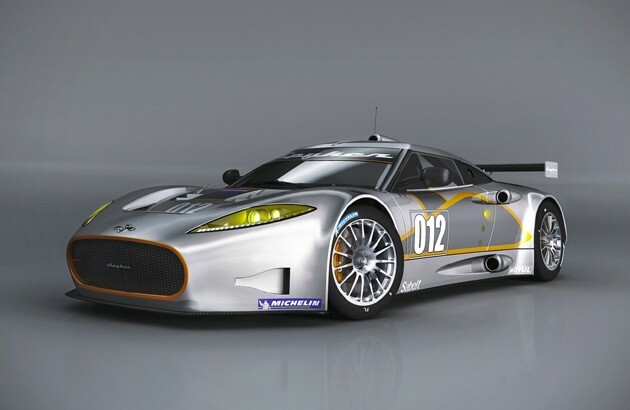 Spyker announces plans for all-new racecar in 2012 originally appeared on Autoblog on Wed, 02 Mar 2011 08:33:00 EST. Please see our terms for use of feeds.